The Royal College of Midwives has said it was kept in the dark over the sudden closure of Montrose Maternity Unit for births. The authority was criticised after the news was made public less than 24 hours before Tuesday’s closure. Jackie Mitchell, national officer for Scotland at the Royal College of Midwives, said she only found out about the developments when she was made aware of The Courier’s coverage of the move. “It’s quite disappointing that they have to suspend births because it is a very popular maternity unit,” she said. “This was news to me that they planned to close this unit but the priority is the safety of mums and babies. “I don’t know if the situation with the staffing has suddenly come to a head and it has come to the point where they can’t sustain the service 24/7. “NHS Tayside is part of my patch but it was not something I was aware of until I read the press. Mrs Mitchell said there is currently a review of maternity services in Scotland but wasn’t aware of “any discussions to close Montrose”. “Historically there have been far more midwives trained than there have been posts in Scotland,” she said. “But we do know that due to the age profile of midwives in Scotland that there will be a significant number of midwives retiring in the next few years. 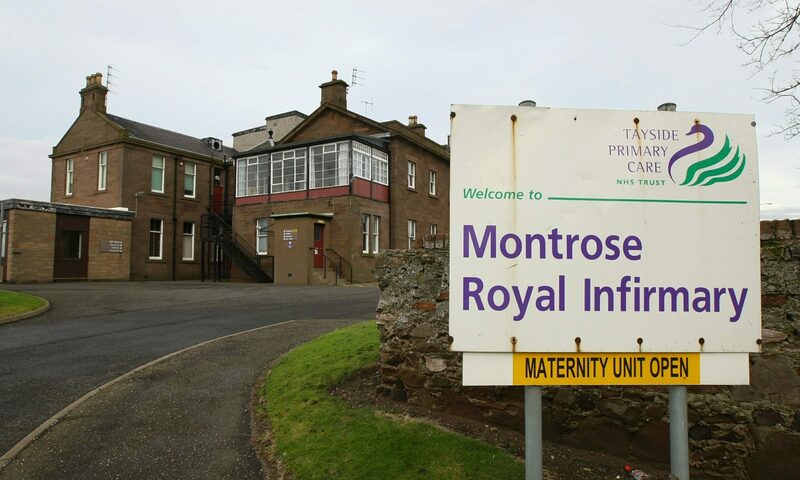 Doubts have remained over the unit since the temporary closure of Montrose Royal Infirmary in April 2014 due to the failure of heating and water systems. A demand for assurances over the Montrose Infirmary GP ward’s future in 2013 was backed by a 400-name petition calling for “no more excuses” as anxious nurses awaited communications from NHS Tayside. North East Conservative MSP Alex Johnstone said he will now raise the temporary closure with the Health Secretary and has lodged written questions in the Scottish Parliament. He said: “After the closure of Little Cairnie in Arbroath, people will rightly question whether the maternity unit is being run-down in order to justify its closure. “This situation underlines wider concerns about NHS staff shortages across Tayside, which I believe deserves greater review. Plans to reshape health services and models of care in south Angus previously sounded the death knell for Arbroath’s Little Cairnie Hospital.